“And so, acceptance of oneself is the essence of the moral problem, and the acid test of one’s whole outlook on life. That I feed the beggar – that I forgive an insult – that I love my enemy in the name of Christ – all these are undoubtedly great virtues. What I do unto the least of my brethren that I do unto Christ. But what if I should discover that the least amongst them all – the poorest of all beggars – the most impudent of all offenders – yea the very fiend himself – that these are within me? And that I myself stand in need of the arms of my own kindness. That I myself am the enemy that must be loved. What then? 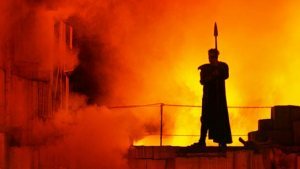 Carl Gustav Jung and politics – The Wotan-Gate. Carl Gustav Jung has always been wildly recognized but was never fashionable, since he was conservative as well as a ground breaking, unconventional free-thinker. From critics, especially in Germany, some of his theories have been overshadowed by unfounded allegations that he was anti-Semitic and a Nazi sympathizer. The presented evidence, his work, his actions and affiliations, have been carefully weighed for example in Deirdre Bair’s biography. In retrospect, Jung could only be accused of making mistakes during the 1930s. However, other actions he took clearly rescue his reputation. All accounts against him, I am aware of, have unfortunately been marred with factual errors and quotes taken out of context (see list below). Additionally many quite casually have referred to Jung as unscientific or as a chauvinist womanizer and Nazi fellow traveler. C.G. Jung did certainly well with women ( the most dedicated co-workers were women) and was not free of opportunism.